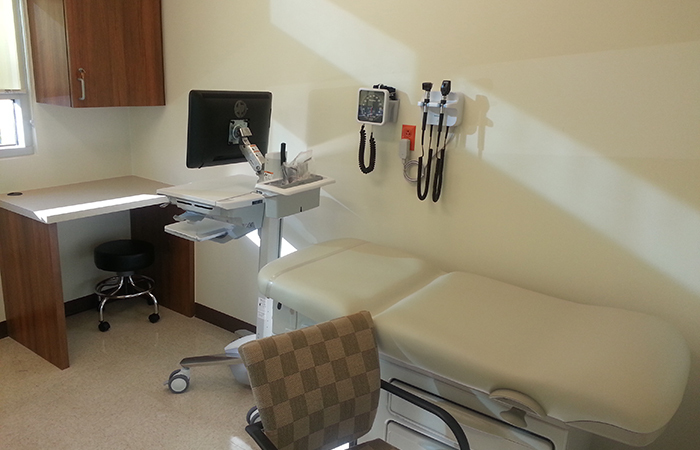 Citrus Valley Health Partners’ new Advance Primary Clinic is designed as a prototype Community Based Clinic to assist the underserved population within the Covina, West Covina, and La Puente region. This clinic design is based on the latest patient care delivery approach of patient centered care and team based care planning concept. The functional space program layout utilize team based approach, where an open model with central collaborative zone for the providers is established within each patient treatment POD and is surrounded by exam treatment rooms. A number of PODs can be incorporated to accommodate specialty clinical modality. This new team based care provides coordinated and integrated service that would streamline patient service delivery process to better reveal and support patient services. It also reduces waste space and service space to maximize result and efficiency.